Successfully Added 256MB MP3 Player Clip-On Attachment For Sunglasses Or Glasses to your Shopping Cart. Cool Gadget Converts Your Sunglasses Or Glasses Into An MP3 Player! 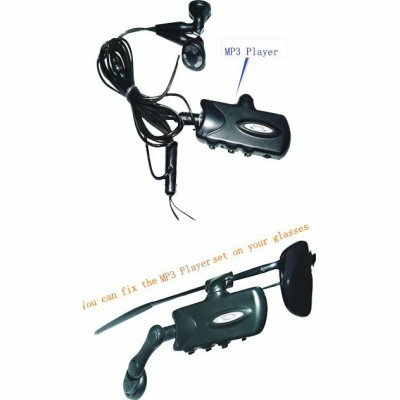 256MB MP3 Player glasses attachment that supports MP3, WMA, and WAV. Easy fast connection via USB 2.0 (cable supplied) to PC. Plug and play, drag and drop music files from your computer to your headset music player. Internal rechargeable battery. Recharges from computer USB.